A black appearance is desirable preferably with bloom. A satisfactory appearance for CTC type teas. Denotes careful sorting. A sign of good manufacture and sorting (where reduction of leaf has taken place before firing) a sheen that has not been lost through over-handling or over-sorting. Particles of leaf which are too large for the particular grade. A brown appearance in CTC type teas that normally indicates overly harsh treatment of leaf. Tea tainted by inferior or unseasoned packing materials. A very large broken-leaf tea. Leaf that is free from fibre, dirt and all extraneous matter. Leaf appearance of whole leaf grade teas such as OP, as distinct from wiry. Even Teas true to their grade, consisting of pieces of leaf of fairly even size. Flat open pieces of leaf often light in texture. Caused by too much abrasion during sorting. Describes primary grades of well-made CTC teas such as Pekoe dust. A tea in which the tea tends to be on the large or longish size. Teal light in weight of poor density and sometimes flaky. A term used to describe tea manufacture, in tea-tasters terms a make that means a well-made tea or not true to its grade. Tea that has been packed or stored with a high moisture content. A grade of tea having good ìmakeî and size. Smell of the dry leaf. Fine light dust as the tea people say meaning a very fine light leaf particle. An uneven badly manufactured and graded tea. Bits of tea bush other than the leaf which should be minimal in superior grades but are unavoidable in lower-grade teas. A sing of fine plucking apparent in top grades of tea. Uneven pieces of leaf particles indicating poor sorting and resulting in a tea not true to a particular grade. Used to describe whole-leaf Orthodox tea grades, often referred to as well madeor rolled. Leaf appearance of a well-twisted, thin, long leaf. Smell or scent denoting inherent character usually in tea grown at high altitudes. A lively bright appearance, which usually indicates that the tea will produce a bright liquor. Bright leaf that indicates a well manufactured or make of tea. Lacks brightness and usually denotes poor tea. Can be due to faulty making (manufacture) and firing or a high moisture content. A dark or dull colour that usually indicates poorer leaf quality. When referring to black tea it means the leaf has been underfermented or alternatively it can be leaf plucked from immature bushes and will often , when liquored, result in a raw or light liquor. Can also be caused by poor rolling during making or manufacture. A smoky aroma unless a Lapsang Souchong tea which should not be there. An unpleasant taste, normally resulting from the tea being carried or wrapped in unlined hessian bags. An over-fired tea with the result that too much moisture has been driven off the leaf while drying. An unpleasant taste associated with raw teas. A liquor having both fullness and strength as opposed to being thin. Unpleasant metallic quality similar to brass. Usually associated with unwithered tea. Denotes a lively fresh tea with good keeping quality. The most live characteristic. Results from good manufacture. Taint caused by extreme over drying during manufacture. An attractive taste, specific to growth origin describing teas grown at high altitude. A tea producing a harsh undesirable liquor with taste to match. Indicates useful depth of colour and strength. A very plain light and thin liquor with no distinct flavour. A natural precipitate obtained as the liquor cools down. Indicates slight over-firing or drying during manufacture. Not clear, lacking any brightness or briskness. Normally caused by damp storage of tea but can also describe a taste that is sometimes climatically inherent in teas from certain regions. A liquor lacking fullness. No substance. Not fresh, usually due to age of the tea tends to lose its characteristics and taste with age, unlike some wines which age, unlike some wines which mature with age. Can be due to overfermenting during manufacture and/or bacterial infection before firing or drying, which gives the tea an over ripe taste. Unlike wines this is not a desirable taste in tea. A good combination of strength and colour. A flat or old tea. Often denotes a high moisture content. When referring to black tea liquor denotes an immature raw character. 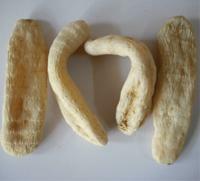 This is mostly due to under fermenting and sometimes to under withering during manufacture. A very pungent liquor, a desirable quality in tea. A taste generally due to the leaf being under withered during manufacture resulting in a very rough taste. A thick, strong and colour liquor with limited briskness. Over fired or dried, but not bakey or burned. Describes a neutral liquor with no body or pronounced characteristics. Lacking strength and depth of colour. Desirable character in some Assam teas. A full, bright tea with a malty taste. Desirable character in Darjeeling teas. A grapey taste. A liquor that is clean but lacking in desirable characteristics. A bright, acidic and penetrating characteristic. Astringent with a good combination of briskness, brightness and strength. Refers to cup quality and denotes a combination of the most desirable liquoring qualities. The opposite of briskness. Tea lacking any live characteristics and is caused by inefficient fermentation and/or drying. A soft liquor with undesirable taste that lacks point. Caused by faulty firing, or drying, at low temperatures and often with insufficient airflow through the oven during tea manufacture or making. Characteristic or taste that is foreign to tea such as oil, garlic etc. Often due to the tea being stored next to other commodities with strong characteristics of their own. An insipid light liquor that lacks desirable characteristics.